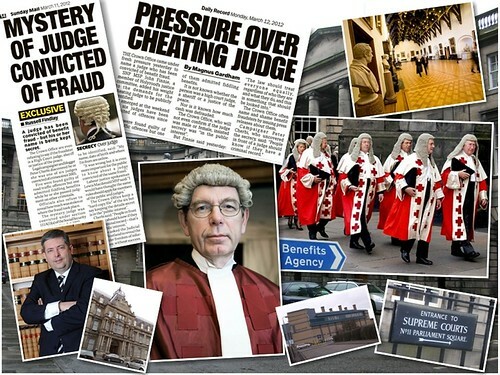 Kenny MacAskill – Reign of error as Justice Secretary since 2007 AS SCANDALS continue to rock Scotland’s legal profession, leaving a growing trail of clients who suffer heavy financial losses, the price of having a second hand High Street solicitor in charge of Scotland’s justice system for the past FIVE YEARS is clearly beginning to tell on Scots access to justice, where, with no end in sight to Kenny MacAskill’s reign of error, now entering it’s SIXTH YEAR, the Justice Secretary has now indicated his Scottish Government does not consider further independent regulation of the solicitor profession in Scotland to be necessary. 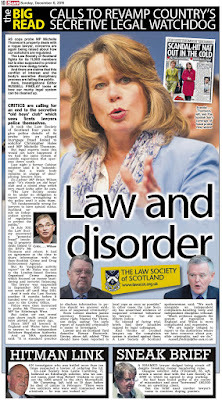 In response to a series questions raised in the Scottish Parliament by Justice Committee member Margaret McDougall MSP (West Scotland, Scottish Labour), on the subject of regulation of the legal profession, Mr MacAskill replied that there will be no further review of regulation of the Law Society of Scotland. 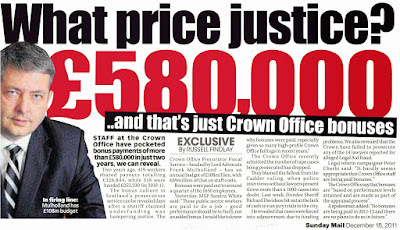 The Justice Secretary also indicated in his responses that the Scottish Government is apparently, supportive of the present arrangements of regulation of Scotland’s legal profession, arrangements which have seen a series of high profile corrupt solicitors escape punishment for complex frauds against their clients involving huge sums of money, while other solicitors have escaped criminal prosecution for the theft of millions of pounds of taxpayer funded legal aid. Margaret McDougall (West Scotland) (Scottish Labour): To ask the Scottish Executive who oversees the work of the Law Society of Scotland. Kenny MacAskill: The Law Society of Scotland is an independent professional body. It is not regulated by the Scottish Government nor any other body but is subject to the provisions of the Solicitors (Scotland) Act 1980 and other enactments. Margaret McDougall (West Scotland) (Scottish Labour): To ask the Scottish Executive whether it plans to review the regulatory system in place for the Law Society of Scotland. 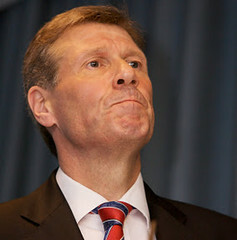 Kenny MacAskill: The Scottish Parliament has recently considered and approved two pieces of legislation which significantly modify the regulatory system in place for the Law Society of Scotland, namely the Legal Profession and Legal Aid (Scotland) Act 2007 and the Legal Services (Scotland) Act 2010. The Scottish Government has no further plans to review the regulation of the Law Society of Scotland. Margaret McDougall (West Scotland) (Scottish Labour): To ask the Scottish Executive what assessment it has made of the performance of the Law Society of Scotland. Kenny MacAskill: The Scottish Government does not assess the performance of the Law Society of Scotland. Margaret McDougall (West Scotland) (Scottish Labour): To ask the Scottish Executive what its position is on the need for independent regulation of the legal profession. 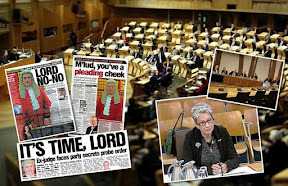 Margaret McDougall (West Scotland) (Scottish Labour): To ask the Scottish Executive what its position is on self-regulation of the legal profession. Kenny MacAskill: The Law Society of Scotland is an independent self-regulating professional body for solicitors and conveyancing and executry practitioners. Section 120 of the Legal Services (Scotland) Act 2010 laid down the regulatory framework for the regulation of the Faculty of Advocates by the Court of Session. 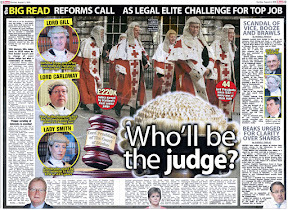 Sections 25-29 of the Law Reform (Miscellaneous Provisions) (Scotland) Act 1990 provide for the Lord President of the Court of Session and the Scottish Ministers to approve and regulate professional or other bodies which apply to enable their members to have rights to conduct litigation and rights of audience in the courts. There are safeguards in place. Complaints about all legal practitioners can be made to the Scottish Legal Complaints Commission which is an independent body. Further, allegations of misconduct by solicitors may be heard by the Scottish Solicitors’ Discipline Tribunal, another independent body. 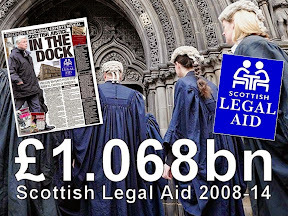 In addition, the Legal Services (Scotland) Act 2010 provided for increased lay involvement in the work of the Law Society, and a lay majority on its regulatory committee. The Scottish Government considers these arrangements appropriate and that there are adequate safeguards. 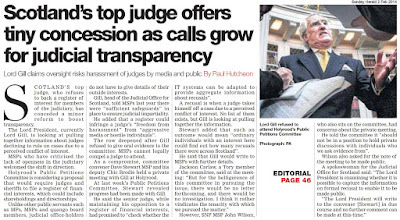 It does not consider further independent regulation of the solicitor profession in Scotland to be necessary. 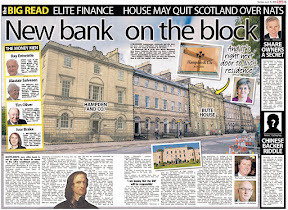 Clearly, from Mr MacAskill’s responses to questions on the subject of regulation of solicitors, Scots consumers of legal services do not stand a chance against lawyers out to rip them off. Similarly, anyone wishing to bring their legal business or litigation to Scotland should take note of the fact that regulation and the lack of real safeguards against rip offs, will also let international & corporate clients down, sooner or later. 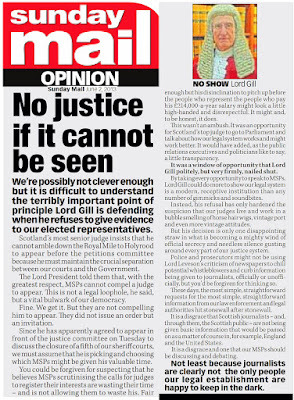 Speaking to Diary of Injustice, a leading campaigner on reform of regulation of the legal profession condemned Mr MacASkill’s pro-lawyer stance to msps. 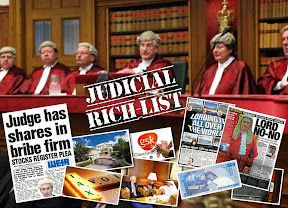 Diary of Injustice has been covering injustice against clients & consumers in Scotland’s legal system since 2006, repeating time & again the system of regulation of Scotland’s legal profession is corrupt in name, and corrupt in nature. 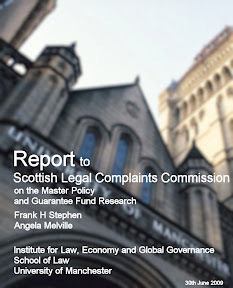 In spite of Mr MacAskill’s claims to msps of new regulation, the reality of dealing with Scottish solicitors has shown us time & again that nothing has changed to improve the rights of clients against vindictive, prejudiced and thoroughly dishonest regulatory practices operated by the Law Society of Scotland, Scottish Solicitors Discipline Tribunal and the Scottish Legal Complaints Commission. 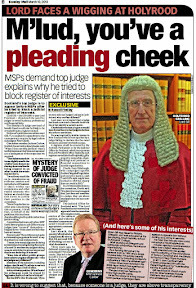 Clearly however, there are some msps who do feel the system must be changed, and therefore Diary of Injustice would like to encourage readers who feel strongly on the matter to contact their msps and ask for progress and the introduction of reforms such as fully independent regulation of the legal profession in Scotland and further powers of protection for consumers, such as naming & shaming ‘crooked lawyers’, a policy now implemented in England & Wales by the Legal Ombudsman. 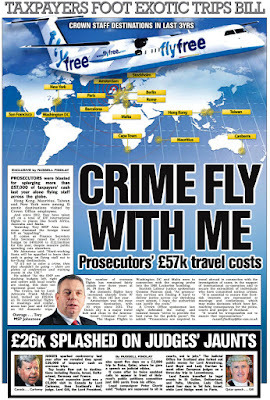 If it’s good for the rest of the UK, we Scots can have it too .. and also, a much needed replacement in the Justice portfolio. 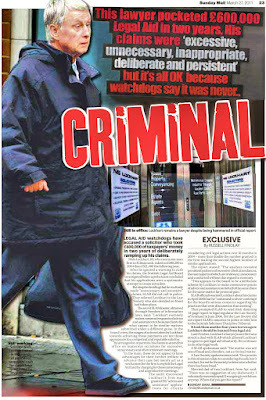 Investigation of Hamilton Citizens Advice Bureau in-court adviser Gilbert Anderson branded a whitewash. 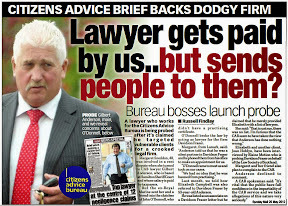 AN INVESTIGATION into a taxpayer funded in-court adviser working at Hamilton Citizens Advice Bureau has been branded a whitewash after a trustee of Hamilton CAB claimed there was no evidence to link ex-Marine turned legal helper Gilbert S Anderson to complaints that he was sending people with desperate legal problems to a now notorious struck off solicitor John G O'Donnell, who was posing as a colleague at now defunct Glasgow law firm Davidson Fraser. 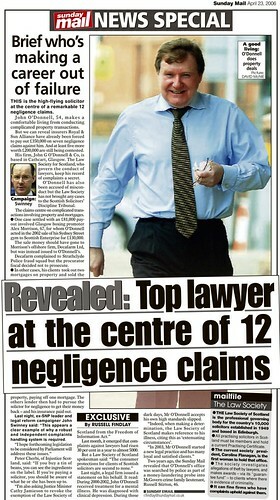 Even though documents proved Gilbert S Anderson, of Hamilton Citizens Advice Bureau had an association with the same law firm in which serial crooked lawyer John G O’Donnell was secretly working as a lawyer, and Anderson had handwritten messages bragging about cash fees which could be made from people he sent to O’Donnell at the Glasgow law firm, CAB chiefs told elderly widow Elizabeth Campbell nothing would be done about Anderson, even though his actions have ruined Mrs Campbell’s legal interests and now forced her to sell her home. 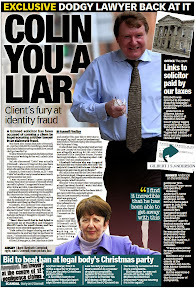 Diary of Injustice earlier reported how elderly widow Elizabeth Campbell, who went to Hamilton CAB for help and was sent to John O’Donnell by Gilbert Anderson, was ensnared by Gilbert Anderson, documented evidence showing the two were in cahoots to rip off vulnerable people needing the services of Scotland’s Citizens Advice centres. After it became clear there were problems with O’Donnell’s dual identity, Mrs Campbell told Hamilton CAB their Mr Anderson refused to tell her what was going on. 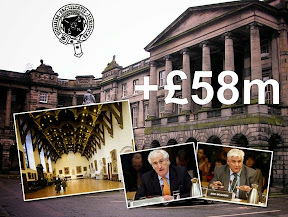 The in-house investigation into Anderson’s activities was carried out by a trustee of Hamilton CAB, a Mr Neil Kennedy, who found against Mrs Campbell’s complaint on every point. Mr Kennedy even claimed that “Mr Anderson was in no way involved with Mr Davidson or Davidson Fraser” a fact already proved by letter heads and Anderson’s claim of £3,000 fees to go to Davidson Fraser for legal work to be provided to Mrs Campbell. 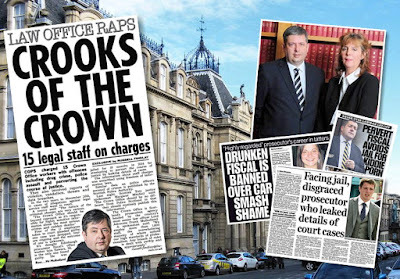 Mr Kennedy also claimed the Law Society of Scotland said they had no record of an association between Anderson & the law firm Davidson Fraser. 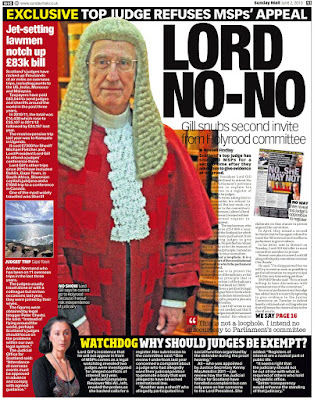 Report into Gilbert Anderson branded ‘a whitewash’. Mr Kennedy said in his letter to Mrs Campbell, which can be viewed online HERE : Although our caseworker may have given you our standard list of local solicitors, regarding your case there was no reference to this as you point out in your letter, simply as a result of the fact that you did not expect to obtain Legal Aid for this, and that Davidson Fraser was, so far as we understand, not part of the Legal Aid scheme at that time. You will understand that Hamilton CAB as part of the CAB movement cannot and does not endorse or recommend one firm of solicitors in preference to another, however that does not prevent our professional staff assisting you with an intelligent choice as to a solicitor who has the experience to deal with the particular aspects of your case. This is what we believe that Mr Anderson was seeking to do in his dealings with you and the referral to Davidson Fraser was made on that basis, particularly as he had already referred another case to them and that was progressed and concluded successfully to the client's satisfaction. From our interview you exhibited a very clear and able understanding of the process which Mr Anderson undertook to find a solicitor who would be able to deal with your problems. 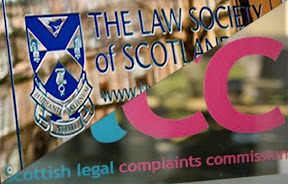 Whilst you have explained in detail your experience of dealing with Davidson Fraser after the referral took place, we have no responsibility for the conduct of independent professional solicitors and therefore cannot comment on these aspects, however the Law Society of Scotland may be able to assist further in this regard as this aspect of regulation falls within their remit. 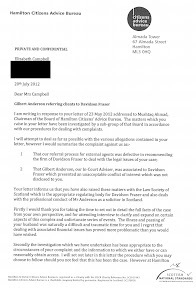 We have therefore on grounds of remit not duplicated that investigation into your dealings with Davidson Fraser; however we have considered whether some of the statement which you have made in that regard were known by Mr Anderson or Hamilton CAB at the time that the referral was made. In this category are the aspects of mistaken identity, Mr Davidson's alleged alcoholism, etc, which may have been relevant in making the judgment to recommend Davidson Fraser to you. Our conclusion is that we had no knowledge of the alleged impersonation, and Mr Anderson was aware of a medical problem which Mr Davidson had experienced in the past which may be exacerbated by alcohol but which did not impair his abilities or judgment. We have no evidence to contradict that view. Whilst not commenting on, and therefore not for those purposes doubting your narration of your interaction with Davidson Fraser, we have concluded that there is no evidence to suggest that the procedure leading to your referral to that firm was not properly conducted and concluded. We therefore are unable to uphold your complaint. On a general note our review of referral procedures indicated that in some instances our documentation of the process was not as complete as we would expect, mainly due to the pressure of case load on our in-Court Advice personnel. We have therefore introduced a regular formal review of this by the Bureau manager to address this issue. Our investigations regarding this point are seriously impaired by the untimely death of Mr Colin Davidson, and you will understand that Mr Anderson vigorously disputes any allegation of "involvement" in the widest sense and consequential conflict of interest in dealings with Davidson Fraser. Mr Anderson and Mr Davidson had known each other for a number of years and we believe that an informal discussion had taken place regarding Mr Anderson working for Davidson Fraser at some point in the future, however this had led nowhere. On learning that his name was on the Davidson Fraser notepaper Mr Anderson had taken action to remove this, and this was rectified immediately. We obtained evidence of other correspondence issued by Davidson Fraser within a few days of the letterhead which you provided showing Mr Anderson as an Associate. This correspondence contained no reference to Mr Anderson being connected with the firm. The Law Society of Scotland has confirmed to us that they have no record of Mr Anderson being associated with Davidson Fraser or Mr Davidson. 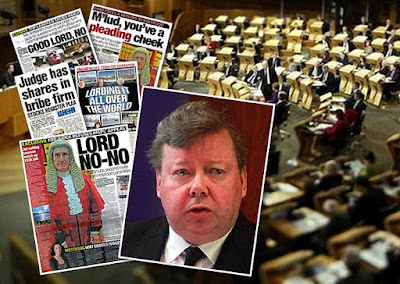 Accordingly, in the absence of evidence, we can only conclude that Mr Anderson was in no way involved with Mr Davidson or Davidson Fraser, other than they had know each other professionally from time to time over a number of years. 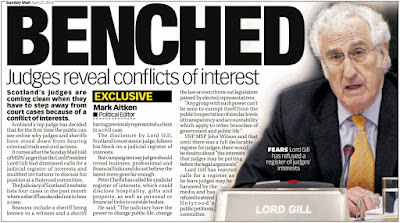 The allegation of conflict of interest is therefore not upheld. However, after the statement was issued to Diary of Injustice, Mr Kennedy, the trustee who wrote the letter to Mrs Campbell detailing the results of the investigation into Mr Anderson sent a hurried email to Hamilton CAB’s Mrs Chalmers stating : “I do not think that it is appropriate to bring the confidential letter between HCAB and Mrs Campbell into the public domain.” Mrs Chalmers then contacted Diary of Injustice and advised us to “note the sensitivity of some of the content.” prior to publication. Speaking last week to Diary of Injustice, Mrs Campbell says she may now appeal the findings of the Hamilton CAB investigation into Gilbert Anderson. 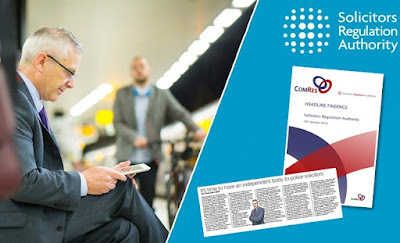 Clearly, the results of Hamilton CAB’s own investigation into one of its own merits a need for independent complaints procedures to be put in place where taxpayer funded positions such as the one occupied by Mr Anderson can be properly regulated. 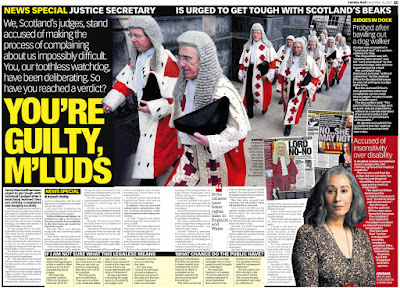 Diary of Injustice stands by Mrs Campbell and the terms of her complaint, and will report further updates on the case. 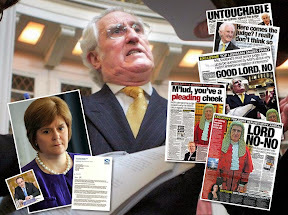 Readers should also note Mrs Campbell gave full permission to Diary of Injustice to publish the letter from Mr Kennedy to Mrs Campbell regarding her complaint against Gilbert Anderson. OAP'S ANGER OVER BUREAU 'WHITEWASH'. 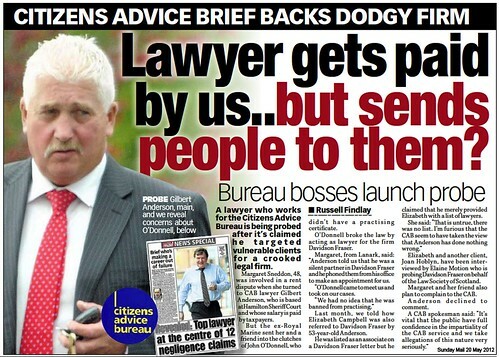 An elderly client sent to a rogue law firm by the Citizens Advice Bureau has hit out at a "whitewash" probe. 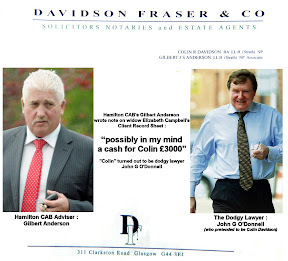 CAB employee Gilbert Anderson sent Elizabeth Campbell, 70, to now-defunct firm Davidson Fraser, where banned brief John O'Donnell advised clients. 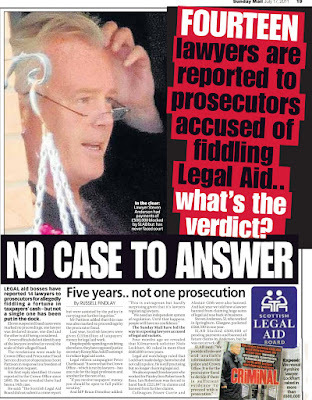 But taxpayer-funded lawyer Anderson has been cleared by CAB bosses. 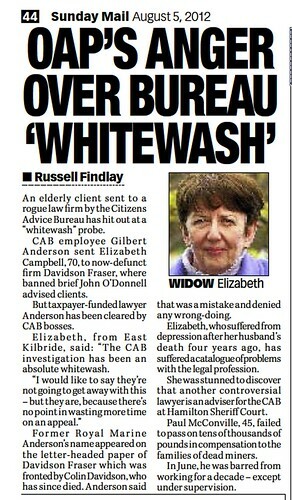 Elizabeth, from East Kilbride, said: "The CAB investigation has been an absolute whitewash. "I would like to say they're not going to get away with this - but they are, because there's no point in wasting more time on an appeal." 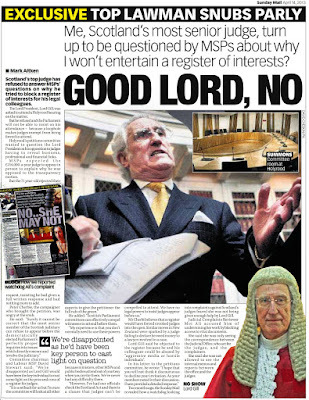 Former Royal Marine Anderson's name appeared on the letter-headed paper of Davidson Fraser which was fronted by Colin Davidson, who has since died. Anderson said that was a mistake and denied any wrong-doing. 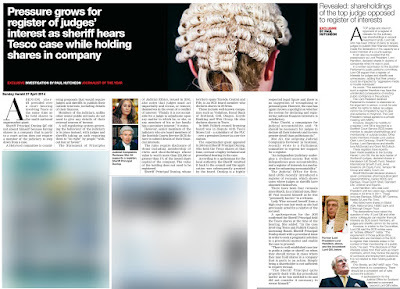 Elizabeth, who suffered from depression after her husband's death four years ago, has suffered a catalogue of problems with the legal profession. 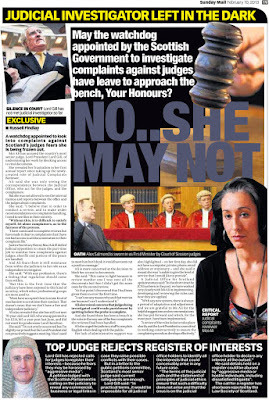 She was stunned to discover that another controversial lawyer is an adviser for the CAB at Hamilton Sheriff Court. Paul McConville, 45, failed to pass on tens of thousands of pounds in compensation to the families of dead miners. In June, he was barred from working for a decade - except under supervision. 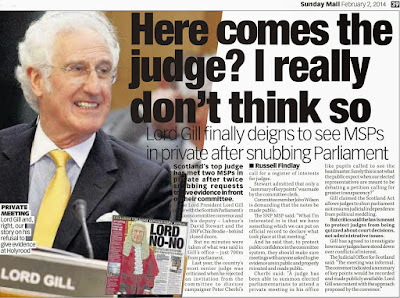 ‘Scandalising judges’ laws to be reviewed in England & Wales, what now for crooked, corrupt members of Scotland’s judiciary ? 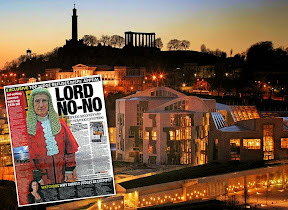 The similar offence of "murmuring judges" in Scotland, or scandalising judges or scandalising the judiciary, is a form of contempt of court but has rarely been used over the years. 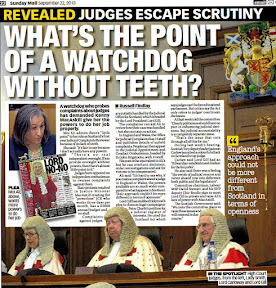 However, those reporting on the dodgy conduct of Scotland’s judiciary have been known to occasionally be ‘reminded’ by elements of the legal establishment to “watch out” in case they fall foul of the law although as a search for stories on corrupt judges in Scotland returns, there is a healthy level of criticism of Scotland’s judiciary. 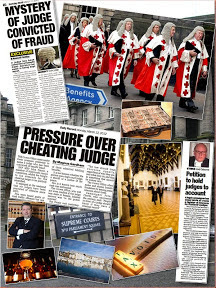 During the course of the investigation, evidence emerged of improper relationships between Scottish judges & law firms, which have not been declared to litigants involved in cases where on several occasions, Sheriffs & even Senators of the Court of Session have ruled in favour of parties they have financial interests with which amazingly need not be declared under current judicial rules allowing highly paid Scots judges to keep their financial interests & private work a secret. 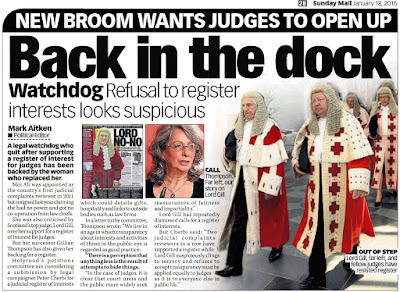 However, to correct this, moves are also being made to file a petition at the Scottish Parliament calling for a Register of Judges interests, more of which will be reported soon by Diary of Injustice. 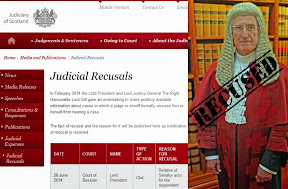 The offence itself, of scandalising a judge, or judges can be committed by doing or publishing anything that ridicules the judiciary to such an extent that it is likely to bring the administration of justice into disrepute, with scandalising the court defined in a one hundred & twelve year old case by Lord Russell of Killowen CJ in the case of R v Gray  2 QB 36, 40, as "any act done or writing published calculated to bring a Court or a judge of the Court into contempt, or to lower his authority". 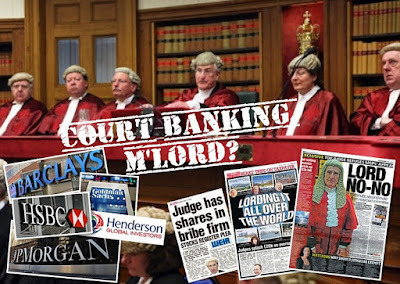 The Law Commission’s consultation is available here : Scandalising the Court. Readers are reminded the consultation closes on 05 October 2012. 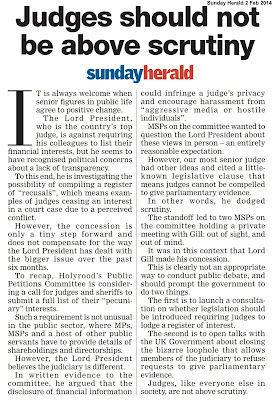 Readers should participate, and are encouraged to call for a similar review of laws in Scotland. 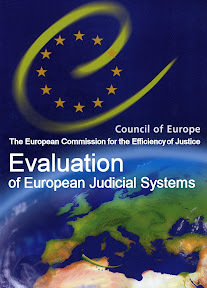 Status: Our work on scandalising the court forms part of our wide project on Contempt. Work on this aspect of contempt has been brought forward to tie in with the Government's consideration of the possible abolition of the offence under the Crime and Courts Bill. 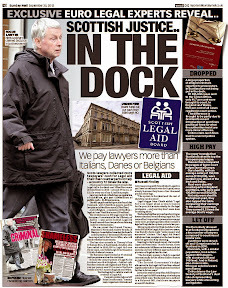 A well-publicised case in spring 2012 highlighted the historic common law offence of scandalising the court. This offence covers conduct likely to undermine the administration of justice or public confidence in the administration of justice, where the conduct does not impinge on particular proceedings. 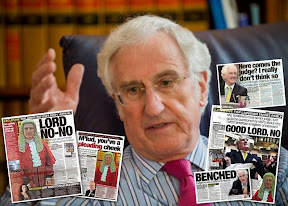 Scandalising the court has been defined as "any act done or writing published calculated to bring a Court or a judge of the Court into contempt, or to lower his authority" (R v Gray  2 QB 36, 40, by Lord Russell of Killowen CJ). 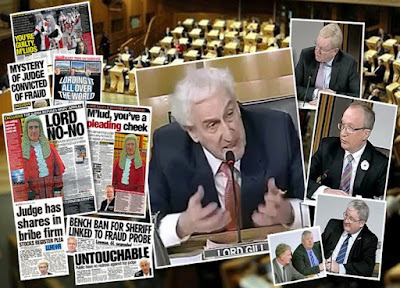 There has not been a successful prosecution for scandalising the court in England and Wales since 1931, although it has been used more recently in other common law jurisdictions. the compatibility of the offence with freedom of speech and the European Convention on Human Rights. The consultation considers whether the current offence of scandalising the court should be abolished or, in the alternative, whether it should be retained but modified and, if so, how. 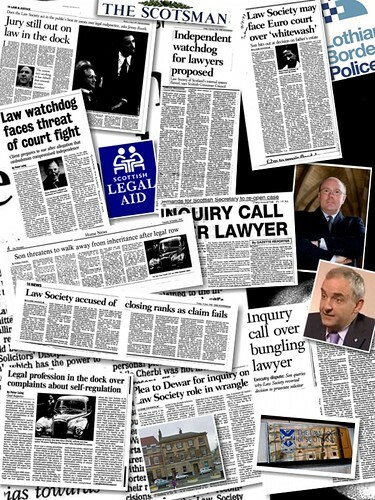 Scottish Legal Complaints Commission is failing to use powers of reduction of legal fees in cases of complaints ACCORDING to statistics obtained by Diary of Injustice under Freedom of Information legislation, the Scottish Legal Complaints Commission (SLCC) is generally failing to use it’s powers to reduce or even nullify lawyers fees in cases where clients have made complaints to the regulator about poor legal services provided by Scottish solicitors. 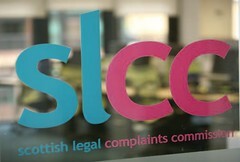 The data obtained in an FOI response from the SLCC show that in the past year, the regulator used its powers over fees in a mere twenty one cases out of all the complaints made to the SLCC in the same time period, where the ‘independent’ regulator of Scottish solicitors can usually expect to receive around one thousand complaints from dissatisfied clients. Do lawyers deserve fees for ruining a client’s legal affairs ? You decide. 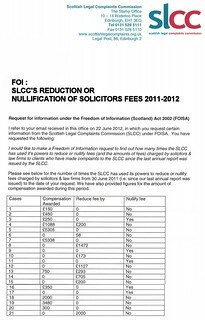 In the cases revealed to Diary of Injustice, fees demanded by solicitors were reduced by the SLCC in only nine cases, the largest reduction being £2000 and the smallest reduction a mere £58. 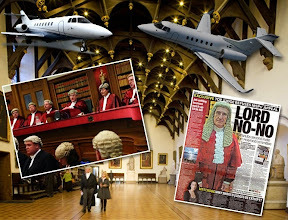 Cases where the SLCC awarded compensation to clients totalled a mere eleven cases, where surprisingly the SLCC did award sums of up to £5388 to clients whose legal interests had been damaged by their solicitors, while lower awards of compensation amounted in one case, to a mere £150. 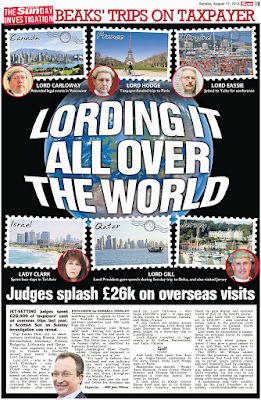 The SLCC has the power to award up to twenty thousand pounds of compensation to clients but so far does not appear to have awarded any figure over £5K. 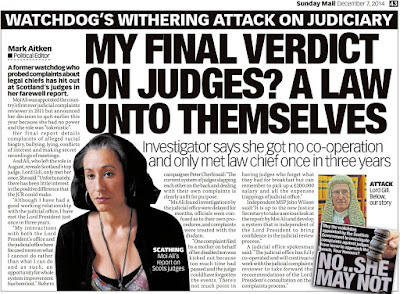 In other cases, where the SLCC has the power to nullify, or void the fees charged by solicitors to clients, a mere 5 cases saw clients relieved of having to pay their dodgy lawyers any money for work which ended up in a complaint to the Scottish Legal Complaints Commission. 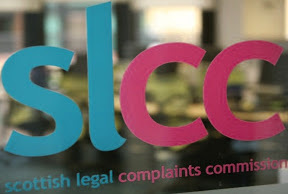 Commenting on the figures this morning, an official with one of Scotland’s Consumer organisations said she was surprised the SLCC had only considered action over legal fees in such a small number of complaints made to the regulator over the past year. However, a legal insider was more critical of the SLCC’s lack of action over fees charged to clients, accusing the regulator of failing to use its fee reducing powers in a manner more likely to act as a deterrent to crooked lawyers. 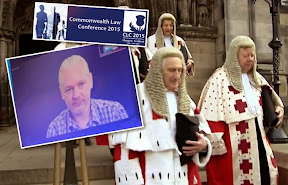 He also accused the SLCC of buckling to pressure from the legal profession in “numerous cases where fees should have been reduced or voided” after apparently secret representations were made to the SLCC by the LEGAL DEFENCE UNION (LDU) on behalf of ‘crooked lawyers’. 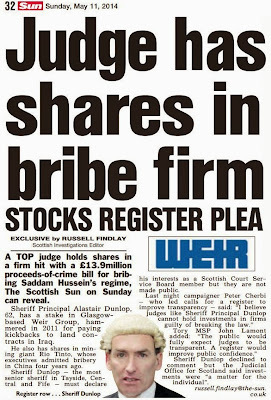 From evidence accumulated by Diary of Injustice, it appears to be clear that the Law Society of Scotland generally view the SLCC’s powers to reduce or void fees as a hostile act to its member firms, who continually bleat about poor finances yet expect to be able to charge clients the full whack even after ruining their legal affairs. Clearly the SLCC are reluctant to upset the Law Society in some of the cases, therefore this may also account for a lack of outcomes where fees have been reduced or nullified. 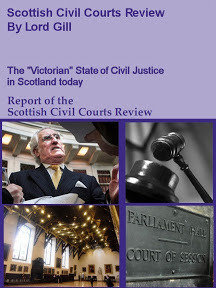 One case recently reported by Diary of Injustice where the issue of the SLCC’s reluctance to use its powers had a powerful effect on the complainant, was that of a William Gordon of Perth, who was sequestrated by Perth based law firm Kippen Campbell, who claimed they were due around two thousand five hundred pounds for legal services provided on a now collapsed medical injury claim in the Court of Session. In the earlier report, Solicitors regulator blamed for failure to use powers on fees as accountants seize Disability benefits to pay Perth law firm for collapsed court case which also revealed Mr Gordon’s benefits had been seized by Glasgow based accountants Wylie & Bisset, acting on behalf of the Accountant in Bankruptcy (AIB) in order to pay back the alleged debts to the law firm, it was apparent that if the Scottish Legal Complaints Commission had used its powers over fees in complaints submitted by Mr Gordon, he would not have been put in the position of being made bankrupt by a law firm who effectively walked away from their client. In the case of Mr Gordon, the AIB went further, attempting to seize two properties, orchestrating a plan to sell both to pay off alleged debts to Mr Gordon’s former solicitors, Kippen Campbell, which now total around six thousand pounds after the addition of several court hearings which Mr Gordon could not attend due to his ill health. Diary of Injustice would like to advise consumers who are dealing with the Scottish Legal Complaints Commission : If you are making a complaint about your solicitor to the Scottish Legal Complaints Commission, whether the complaint is about fees, service or conduct, you should ask for more information on the SLCC’s powers to reduce or nullify fees you have been charged by your solicitor. If, after the SLCC has made a decision on fees, or compensation and you are not satisfied with it, media publicity to the SLCC’s decision and your circumstances may help you have any decision looked at again, and may also help other consumers avoid using law firms who want to charge clients high fees even after ruining their legal interests.